Notre Dame (9-0) got a comfortable 87-72 win against a gritty Fort Wayne (7-3) squad, but Mike Brey’s squad was definitely challenged in the second half. For much of the game, the Irish led by double-digits and by over 20 in the second half. However, the Mastodons used an intense offensive run to pull within single digits late in the second half. The Irish offense was held without a field goal over the last 6:36 of the game, but Brey felt it was just what his team needed heading into Saturday’s matchup with No. 1 ranked Villanova. “It was good,” Brey said of his team’s ability to close out despite some adversity. “No panic. I thought it was good to have some game pressure on us and have to call a timeout to make an adjustment. The great thing about this group is they are able to get to the bonus and then we drive and get a hand-check, then go to the line and that’s an automatic two. We’ve really been good there. As the Mastodons made their run, Notre Dame utilized one of its strengths in foul shooting. Notre Dame entered the game as the nations leading team in percentage from the foul line and the Irish went 20-23 on Tuesday night to close out Fort Wayne. 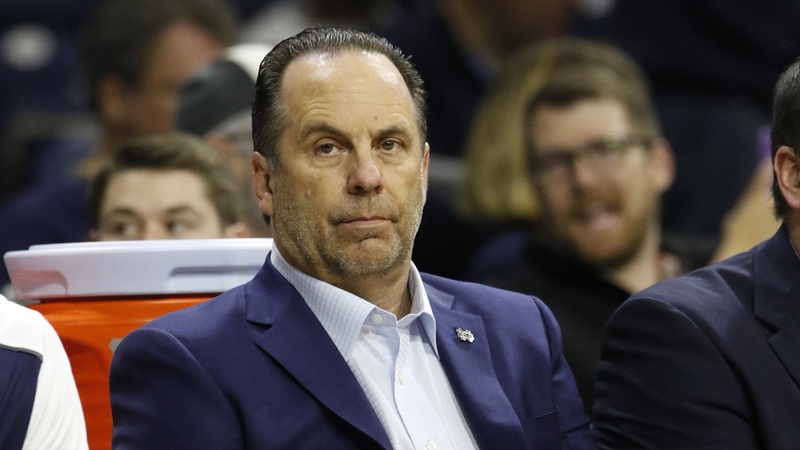 “One of the things we talked about when we kicked it and reverse it was to drive it more than maybe settling for jump shots all the time,” explained Brey. “I thought last week in the first half of the Iowa game – again we’re a good shooting team, so there is a fine line on how you tell your guys that, but I thought driving it got hand checks and we’re in the bonus quickly. As adversity struck down the stretch, Brey saw his team handle a negative situation in a positive way. No player got overwhelmed and Brey felt the maturity of his team really shined. “I would compare the huddle like the huddle against Northwestern down six,” Brey said. “There is no panic. There is discussion and the tone is a little bit of ‘We’re fine.’ I certainly reiterate that. I am not doing backflips and tell them to do this or that a little bit better. It’s maturity. We’ve had two huddles like that. Speaking of Saturday, Notre Dame will head to Newark (N.J.) for a meeting with Villanova, a matchup that will really test and tell where the Irish are at. “We have our hands full,” stated Brey. “It’s a great opportunity for us. They’re really good. They’re mentally and physically tough. I think we’re pretty good too. It’s two similar programs. Jay (Wright) is a good friend from the Hofstra days. On reporter asked Brey if his Irish were tough enough to beat them the Wildcats. Notre Dame has lived off the three-ball early this season, but on Tuesday the Irish were just 11 of 35 from behind the arc. Brey isn’t concerned with the shots, as they are within the offense, but knows his team needs to remember to drive. “I think there is a little bit of taking what the D gives you and not necessarily – I don’t want our shooters turning stuff down if it’s a pretty good one,” he explained. “Sunday night, we had so many clean looks so easy that it’s a hard one. Tonight, I thought we did a little better job of driving, especially early in the game. Rex (Pflueger) and VJ (Beachem) got a hand check. With Saturday’s mega-matchup staring them in the face, Notre Dame will look to prove they belong and most importantly build the resumè for March. “I think we were kind of thought of maybe as an NIT team, but we still have a lot of earn before we’re smiling on March Madness, so that was a nice motivator for them,” said Brey. “They heard with four NBA guys gone, whether they had it left in them. We’ve always felt we had a good nucleus coming back that knew how to win.